Life got busy and I haven't been able to play along with the Merry Monday Christmas challenges lately - but was so inspired by this week's rustic theme and photo - I quickly made two cards! 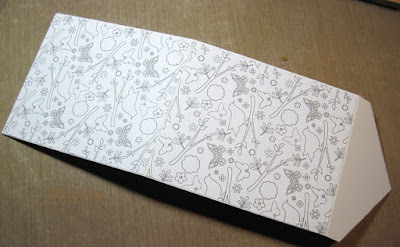 Birch trees are one of my favorite trees with their white/tan/brown bark that is often peeling off here and there. 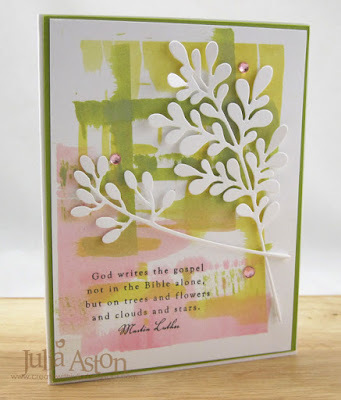 And having just learned a new technique on Splitcoaststampers of swiping ink over a panel with a used gift card (see yesterdays cards here) - and having seen my stamping friend, Bonnie's wonderful card she made for this challenge here - I knew I wanted to give a shot at re-creating the look of the birch as well! 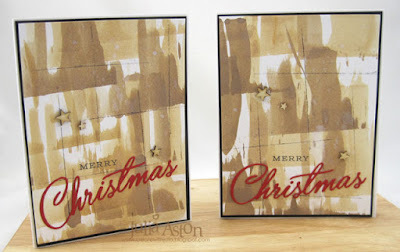 I rubbed Ranger Distress Oxides in Walnut Stain and Vintage Photo on my craft mat, spritzed them with a little bit of water, then dipped the edge of my gift card in one ink and dragged it over a panel of white card. 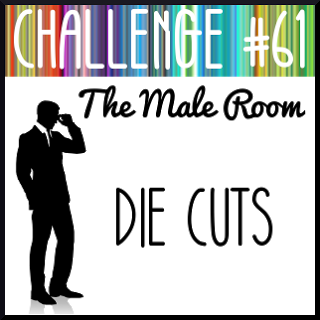 I continued one color and then the other until I was happy with the look. 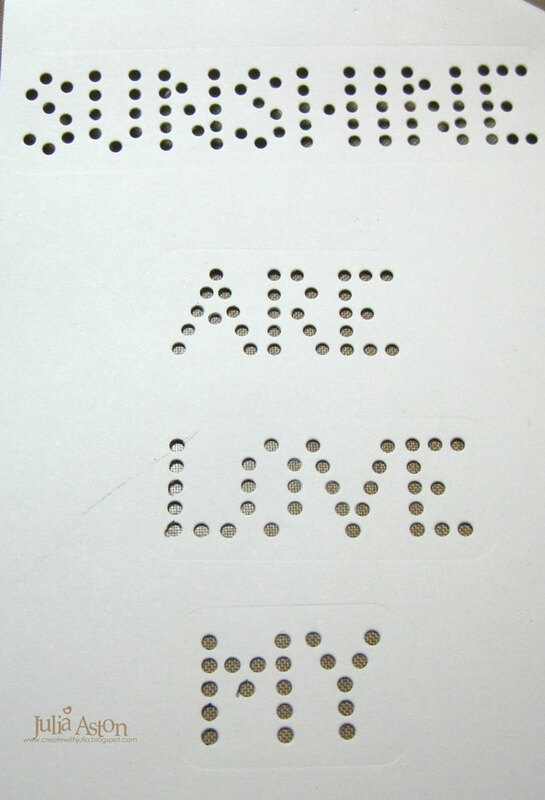 I flicked some water onto the panel to create some water spots. Then I pushed my gift card edge into some Archival Jet Black ink and pressed the edge onto the panel randomly. 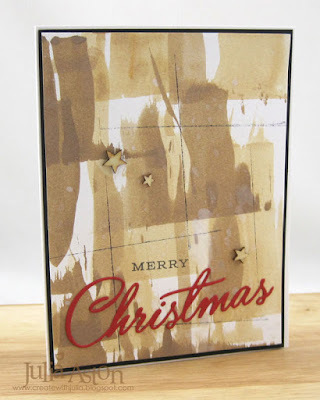 I die cut Christmas out of red card and stamped the MERRY above it. 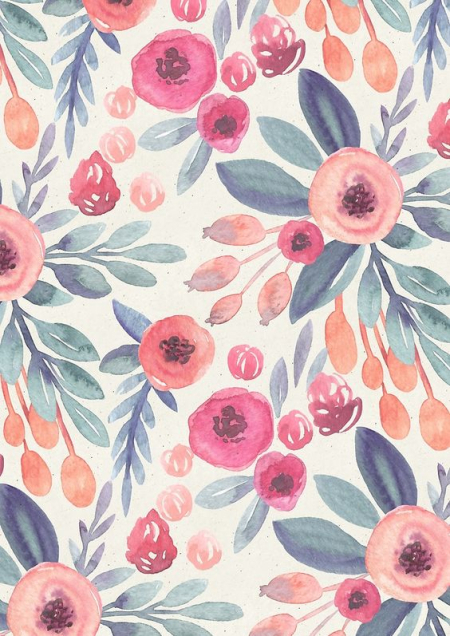 Every background you create using this technique comes out differently - you never get the same thing twice. 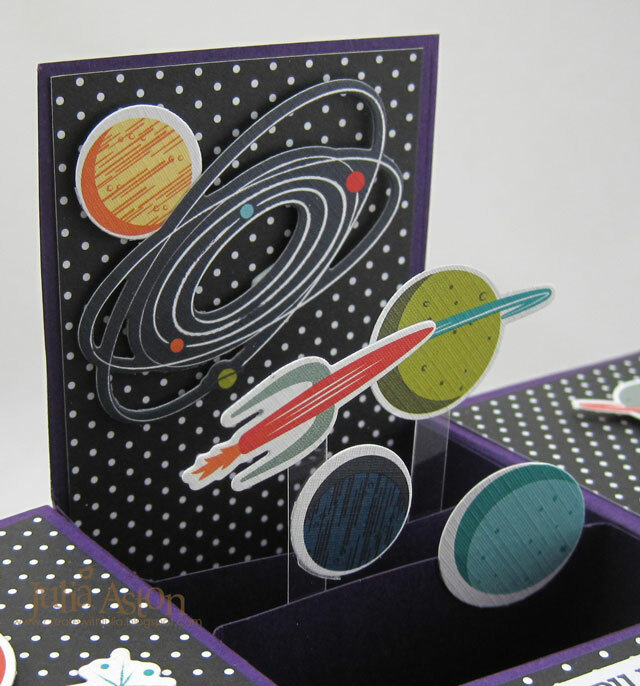 I added 3 little wood veneer stars to each card. 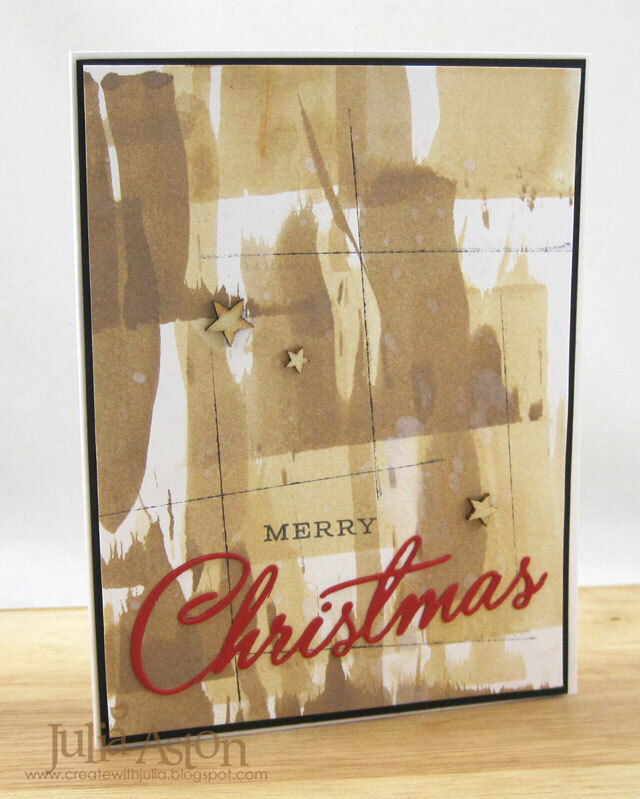 I'm glad to be back on track in adding cards to my Christmas stash! 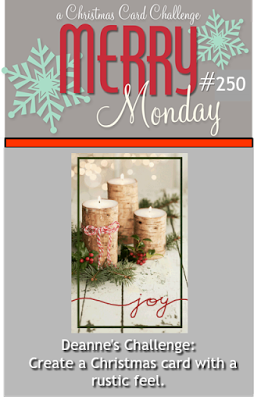 You'll find the Merry Monday Christmas challenge here. Accessories: used gift card, glue pen, Christmas Cheer Dies - PTI, wooden stars - Studio Calico/American Crafts, water, nonstick craft mat. 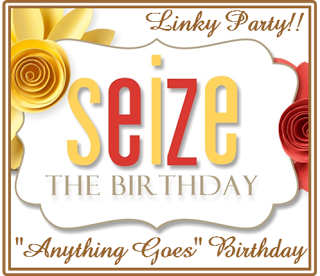 Today I'm participating in the May Papertrey Ink blog hop. 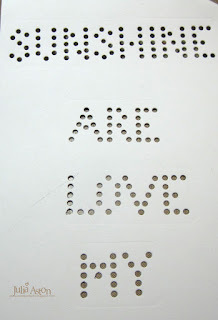 This month Nicole has chosen this photo to inspire us. 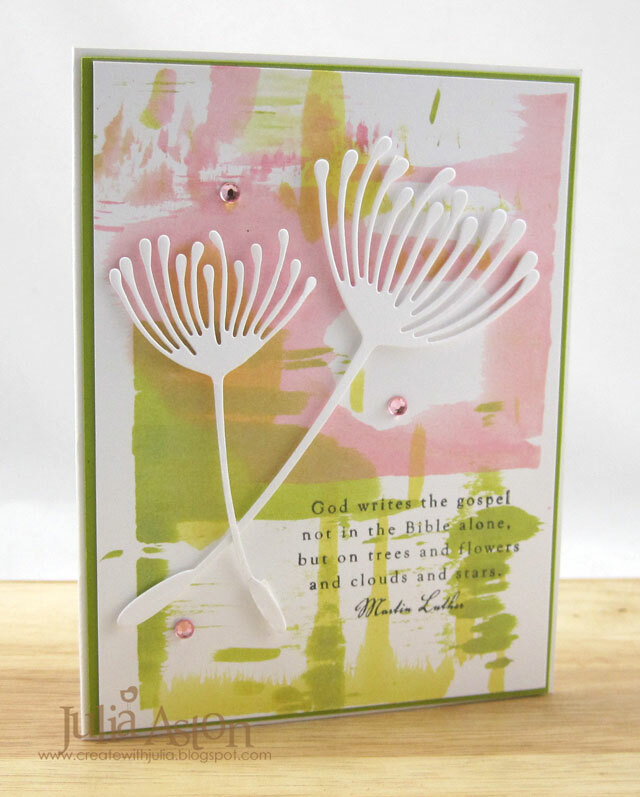 I was inspired by this sympathy card of Heather's for my technique and stamp set choice. 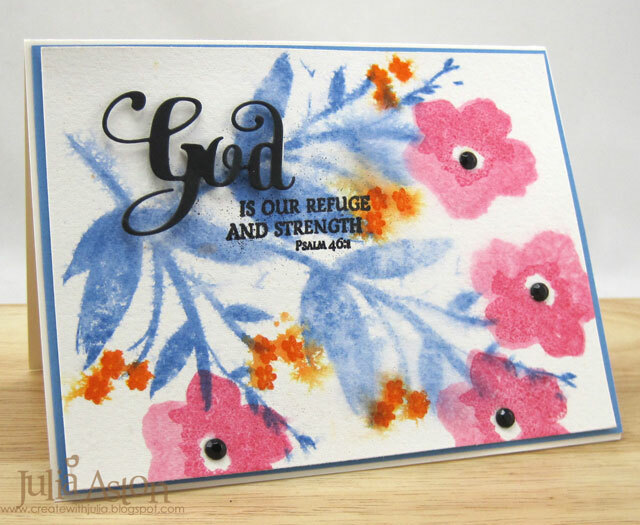 I inked various stamps from my much neglected Brushed Blooms stamp set using Orange Zest, Blueberry Sky and Hibiscus Burst - then spritzed each stamp with water and stamped them on watercolor paper. I spritzed water over each stamping I did on the watercolor paper, then dried with my heat tool before moving onto the next stamping. 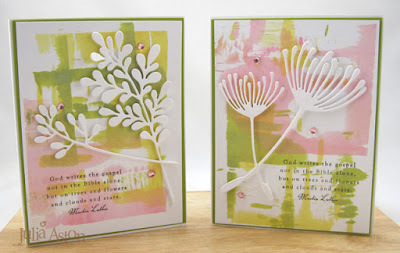 I over stamped the larger blooms and the orange blooms with straight ink. 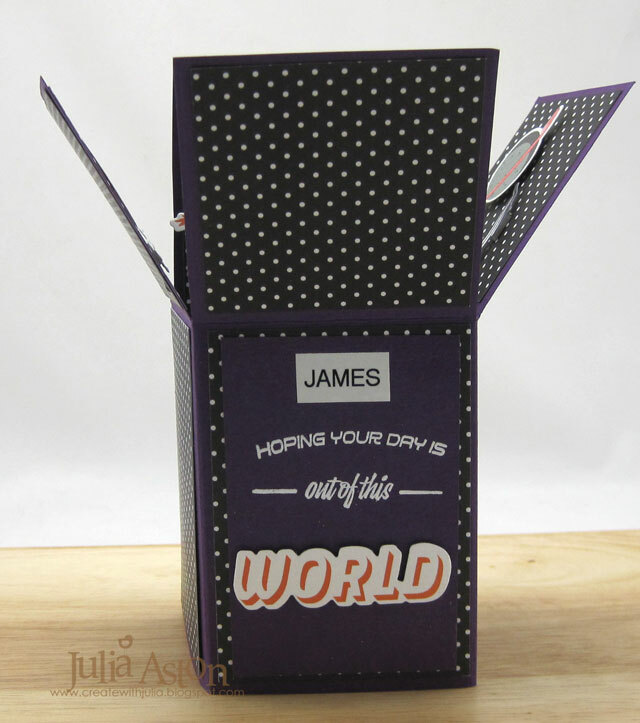 I die cut GOD out of black card and black embossed the psalm - both from Inspired: God. 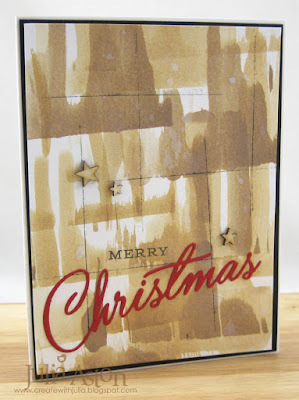 I layered the watercolor panel to a slightly larger panel of Blueberry Sky and adhered that to a Vintage Cream card base. 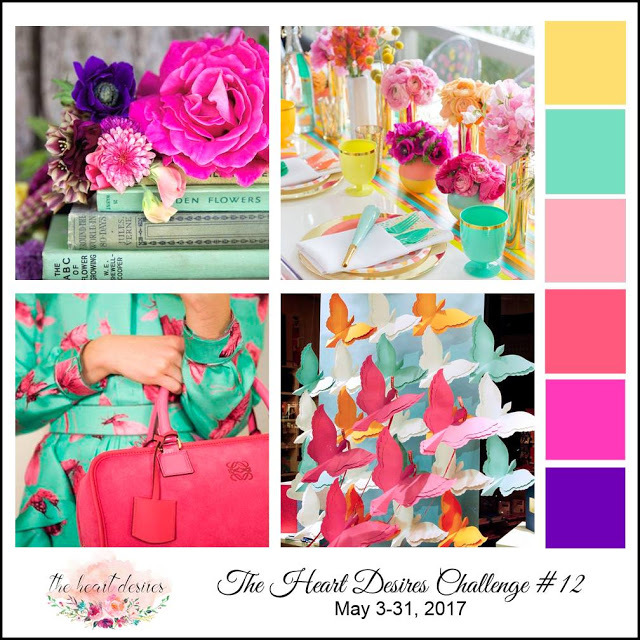 You have all day today to join in on this month's blog hop - I'm off to check out the other hoppers! Paper: white, Blueberry Sky - PTI, Arches Watercolor paper. 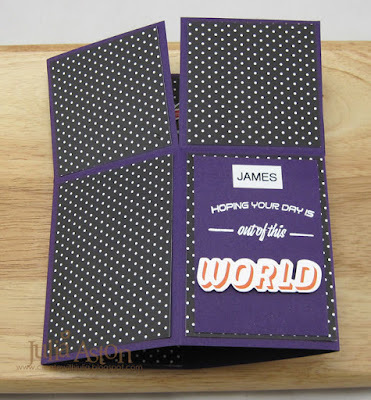 Accessories: God die - Inspired-God - PTI, foam dots, black rhinestones - The Ton, black embossing powder, heat tool, water mister. 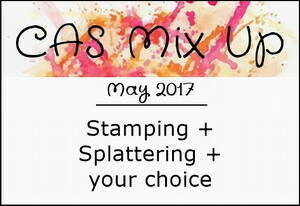 Mid Month - May CAS Mix Up Challenge Reminder! For this card I used stamping, splattering with watered down white acrylic paint, a die cut sentiment out of felt, black pearls and I personalized it with a name label. First, I cut a panel out of Summer Sunrise cardstock. 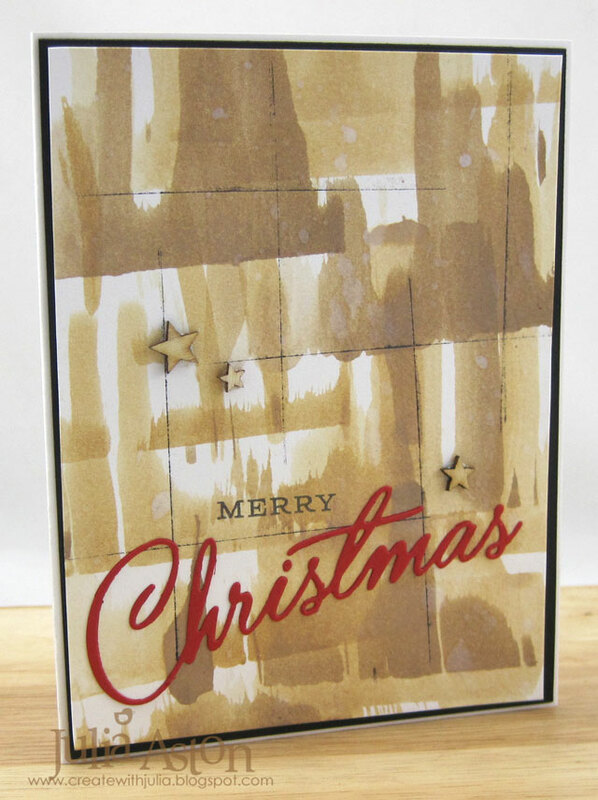 I put some white acrylic paint on my craft mat, mixed it with a little bit of water, dipped an old toothbrush in the mixture and splattered it onto the panel by dragging my thumb over the brush until I had the coverage I wanted. 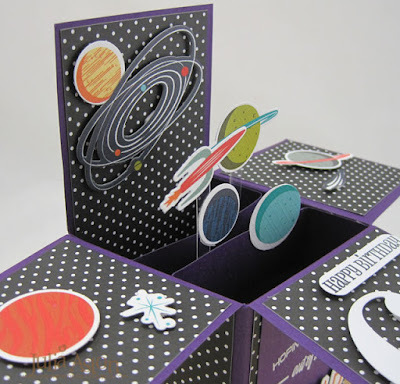 I die cut the birthday out of Blueberry Sky felt using a word die from PTI. 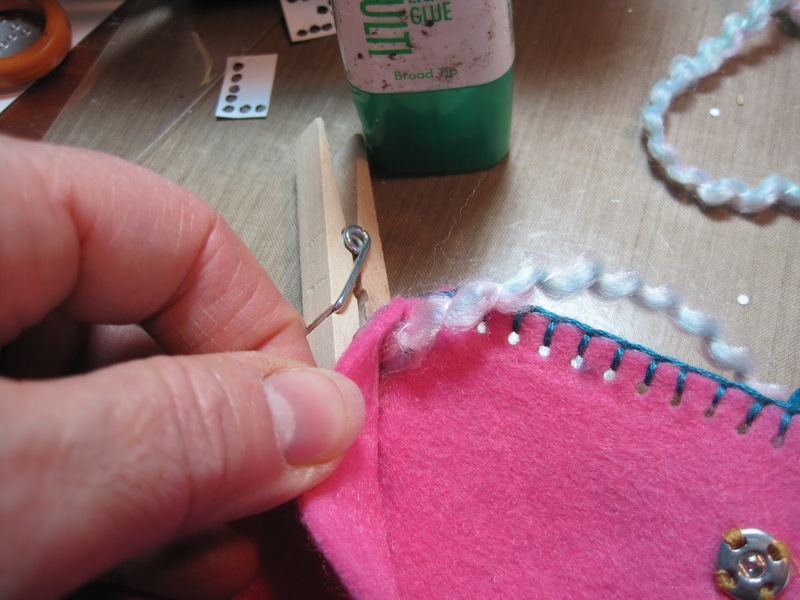 The felt is easy to manipulate so I was able to adhere it in a curve. 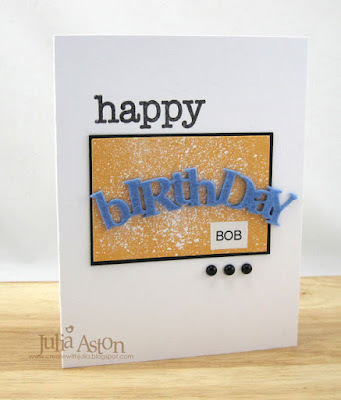 I like to personalize cards for friends - so I used my Brother Label Maker for Bob's name. 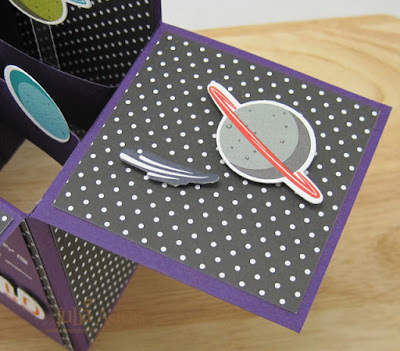 So we hope to see your 'splattering' card linked up over at the CAS Mix Up Challenge by May 24th! And please check out all of the 'reminder' inspiration by the Design Team over at the blog! 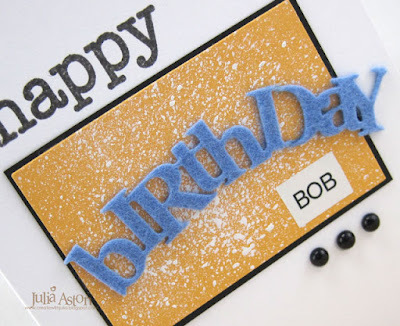 Accessories: Wonderful Words - Birthday die - PTI, white acrylic paint, water, old toothbrush, black pearls - Kaiser Craft, blueberry sky felt - PTI, Brother Label Maker. 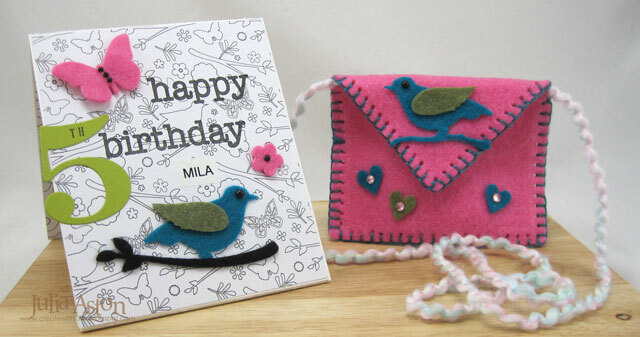 A Heartfelt Purse and a matching 5th Birthday Card! This month Eileen Hull's Creative Team will be posting their creations using Eileen's Heart Felt Dies and Kunin Felt. 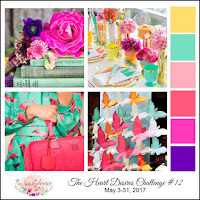 They will be gathered over at Eileen's blog each week. I die cut the house frame with the stitch holes out of pink Kunin Felt twice from Eileen's House Pocket Stitchlits set. I cut off the roof part of one of the cuts to use as the front of the purse. 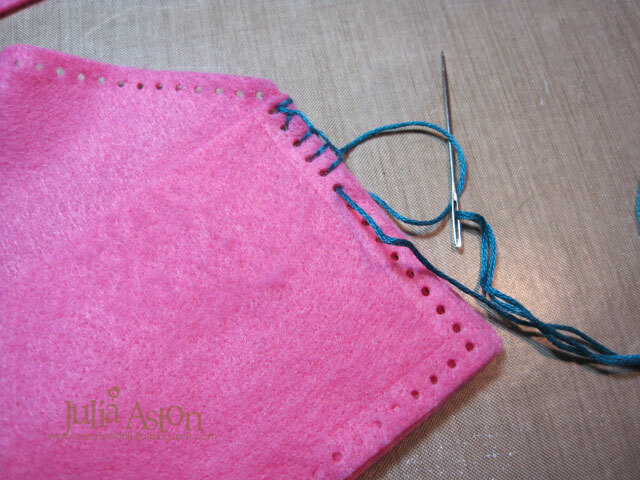 I used a blanket stitch all the way around the edges including the single layer of the top. 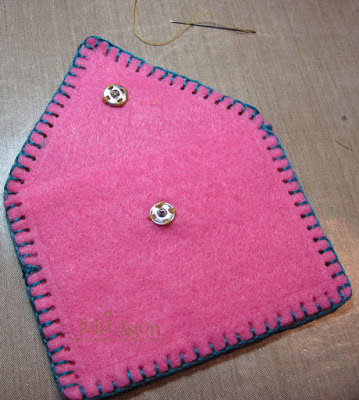 (You tube has lots of videos on how to do the blanket stitch - here is one. 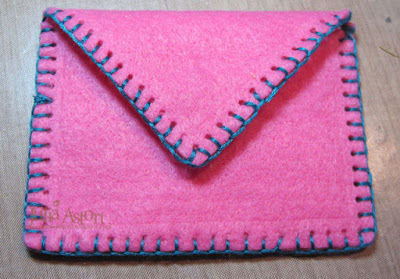 Here it is unadorned and snapped closed! After I put it together - I decided I should have put her name somewhere on the purse - it would have been easier to do this before I put it together - but it worked out ok. 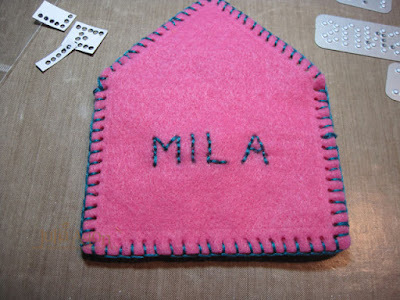 I used Eileen's Word Stitchlits which just happen to have all the letters for Mila's name within the words of the dies. So I die cut the words on a piece of white card. 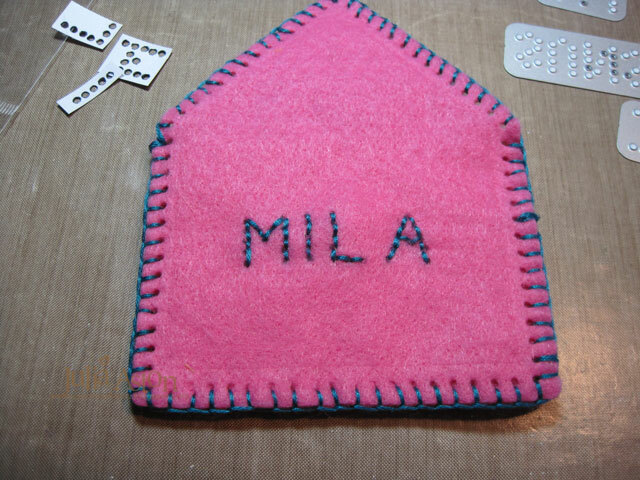 and then cut out the MILA and laid them over the back of the purse - trying to space them evenly! 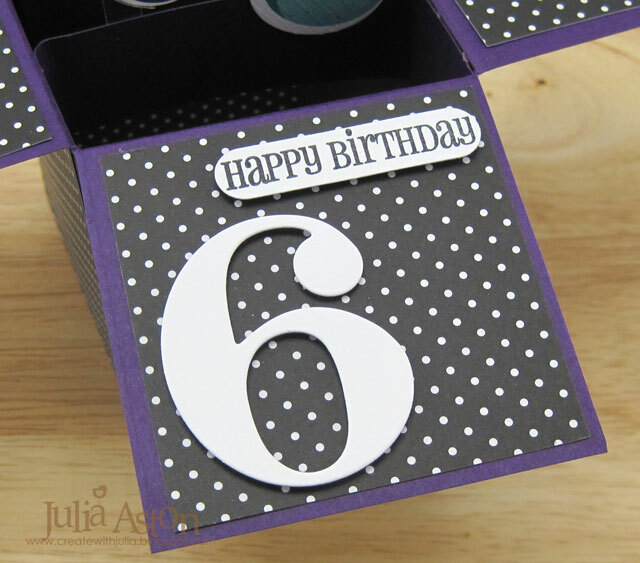 Then I marked the dots with a Sharpie pen. And used a back stitch with the embroidery thread - it was easy to reach inside the purse since the letters were located towards the middle of the back piece. I had this funky twisted pink/blue/white yarn in my stash and thought it would make the perfect shoulder strap for this little purse - I simply glued the ends inside the purse on each side. I may try to put a little stitch on it - but it seems to be held quite firmly with the glue. I put the clothespins on to hold it all together tightly while the glue dried. 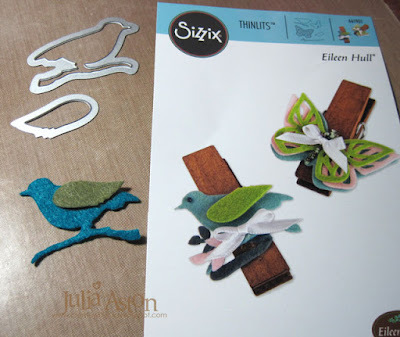 I used more of the Kunin felt to cut the bird from Eileen's Birds and Butterflies Thinlits. 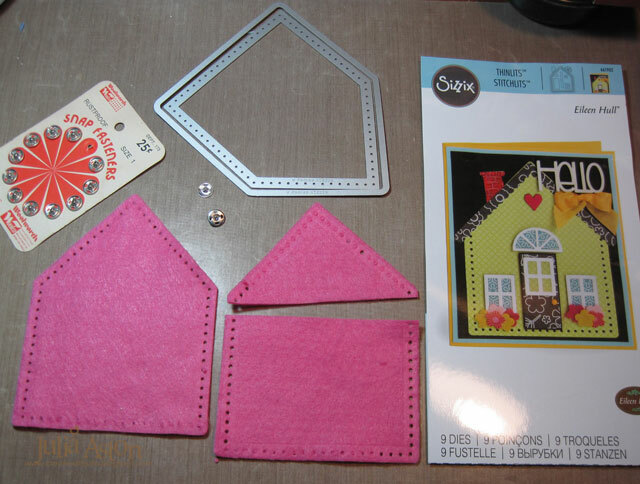 The hearts are part of the House Pocket die set. 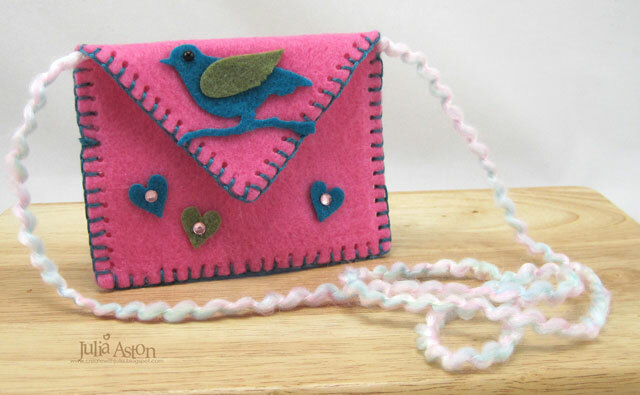 I glued all the pieces onto the front of the purse, added a black pearl eye to the bird and pink rhinestones to the hearts. 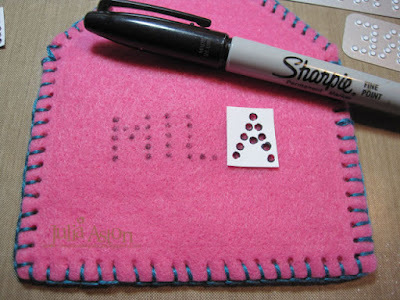 I added three more hearts (without rhinestones) to the back around her name. 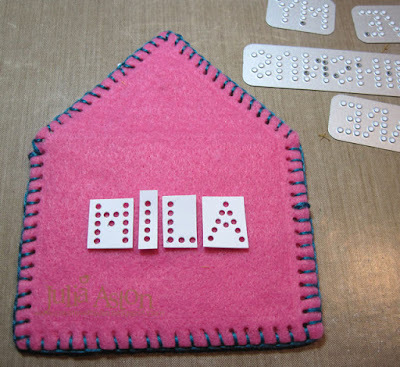 And now onto Mila's personalized card. 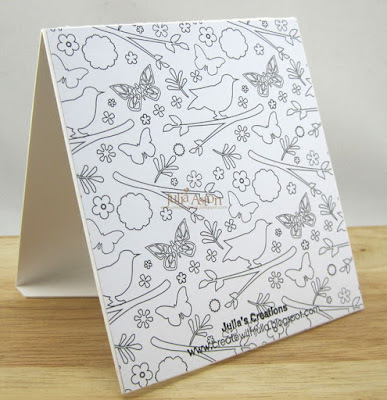 I used 2 pieces of patterned paper from Eileen's new Heartfelt Paper Pad to cover the front and back. It looks like one sheet here - but this is the front and back of the Frame card so each piece starts in the middle and each faces the opposite way! I cut another bird, a butterfly, and a branch using Birds and Butterflies and the flower from House Pocket from the Kunin Felt to decorate the front - see how the paper matches the die cuts??!! 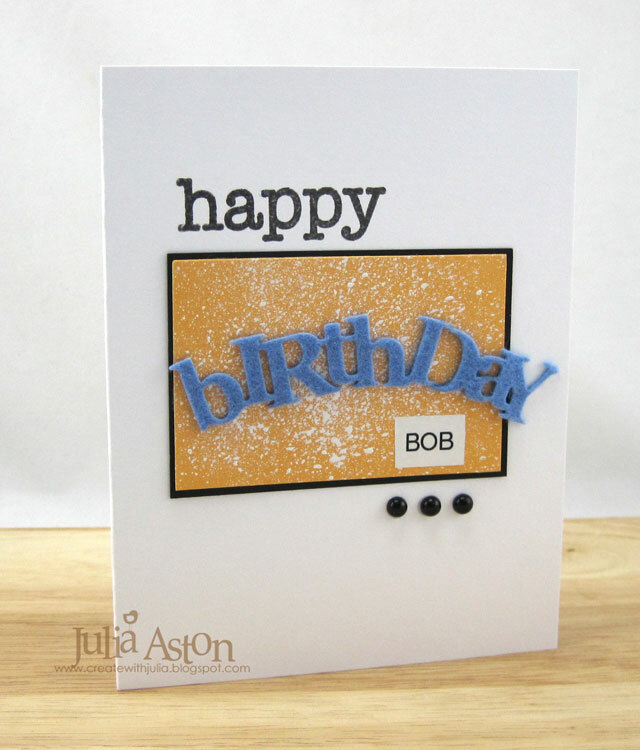 I stamped the Happy Birthday, added a die cut 5 stamped with 'th' and printed her name with my Brother Label Maker. 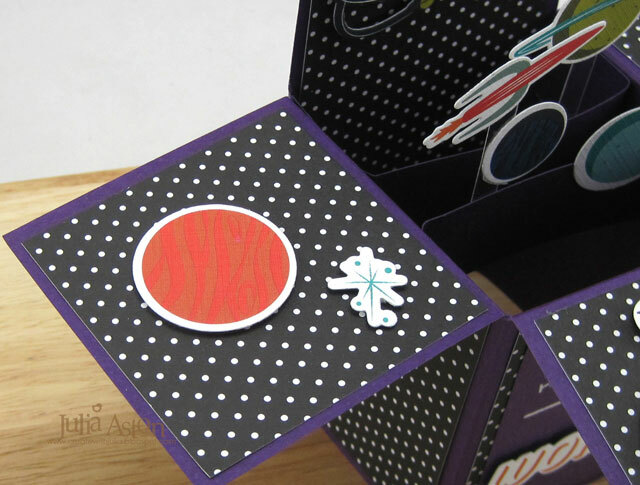 I added black pearls to the butterfly, flower and bird. 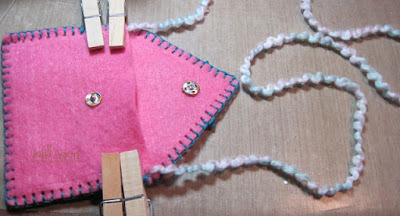 I put foam dots under the wings of the butterfly to hold them out and glued along the center of the body. 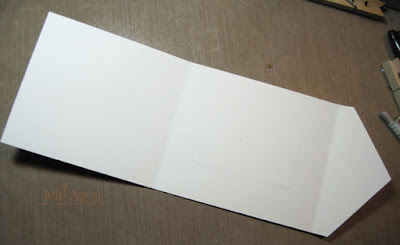 I adhered a different page from the Heartfelt Paper Pad to the inside and printed this note with my Brother Label Maker. Mila loves to color so she will enjoy the fact she can color on her own card! And here's the back - with more images to color! 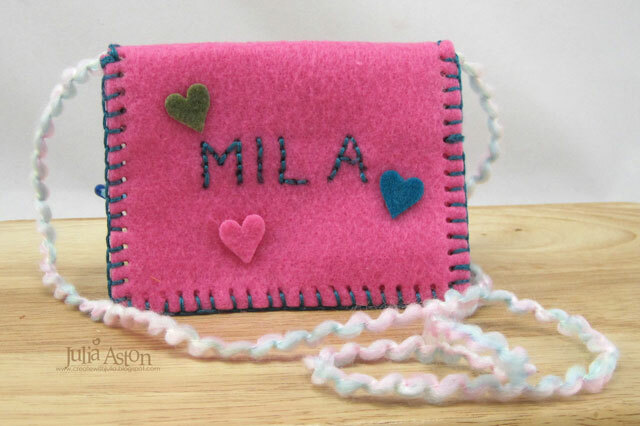 Now I just have to wait until August to see how Mila enjoys her gifts! 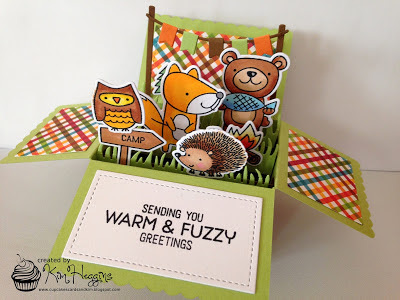 Be sure to check out Eileen's blog for more inspiration from the Creative Team using these fun new dies and Kunin felt! 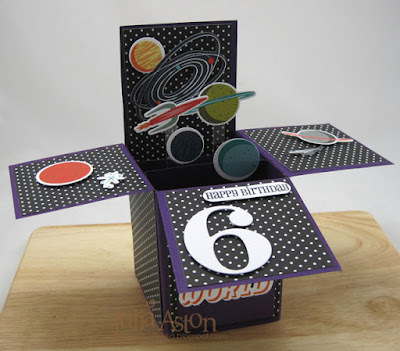 Stamps: happy birthday from Studio Calico Limited Edition, th from Karen Foster Snap Stamps - retired. Paper: White Little Sizzles Matboard - Sizzix, Heartfelt Paperpad - Eileen Hull/Sizzix, Simply Chartreuse - Papertrey Ink. Accessories: House Pocket Stitchlets Die, Birds and Butterflies Die, Word Stitchlits, Mailable Frame Die - Eileen Hull/Sizzix, Kunin Felt - Pink, Aqua, black and Olive, Snap Fasteners, Black Sharpie Marker, embroidery thread and needle, Rhinestones and Black Pearls - Kaiser Craft, yard from stash, #5 die - Papertrey Ink, Brother Label Maker, foam dots, Tombow liquid glue.